A perfect life partner is the one with whom we can share our joy and happiness together. Living complete life with a person who can understand us and we can understand which is always the best experience ever. But, sometimes we both get stuck in our life too much that are unable to understand and make out if our partner is facing some problem or disorder. Life is much complicated and stressful nowadays. Personal and professional, there are many worries that surround a person completely. If your partner is behaving differently in the past few days then the reason may be he is suffering from some mental illness. Here are the few points to know if he is actually undergoing something very creepy. Quick Mood Swing: If there is something which is hitting a person’s mind constantly then the best way to know this is his mood swing. If a person swings his mood constantly and quickly then definitely there are many thoughts which are surrounding his head. Remain Silent: If you partner remains silent on many things and does not share his views and opinions about the things happening in and around then definitely there is something to worry about. Remaining silent is no issue, as this is a position of meditation but silent, when the one opposite is seeking for the reply, is dangerous. Change in Eating Activity: Not eating or eating less is something that will clearly signify that everything is not okay with your partner. If you notice a change in eating activity of your partner and that too followed for a longer time and definitely you need to point this out. Not Able to Sleep: Insomnia is another sign of mental disorder. Not able to sleep due to stress is okay for few nights but if this has become a constant behavior then this thing needs to be sorted out. Want to Remain in Solitude: Despite your constant efforts if your partner is not sharing his views with you and wish to remain in solitude then there is something messy going on in his mind. You should check this out and try to fix the problem. Being a partner you are supposed to learn and understand the things that are going in the mind of your partner. If there is something much creepy then you should take your partner to a psychiatrist. Consulting a psychiatrist would always take the situation at a better level. Death is the ultimate truth of life. One day or another we all need to face it. It really hurts when someone much closer to us departs from our life forever. 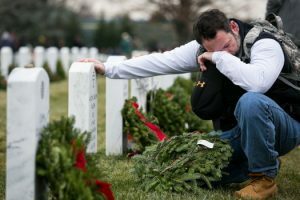 Overcoming the death of a loved one is really tough, but there is no other way out to deal with the situation than to face it. Keeping this in mind that death is the ultimate truth of life, we need to proceed further. If someone much closer to us leaves us and goes away forever then how the situation can be handled. Well, this is a question of millions of people and more than that it is their concern. If you or anyone close to you is in depression of losing someone much closer then here are few ways how such kind of situation can be handled well. Realize the Truth: You need to realize the truth that death is the final terminus of life. As soon as you will adopt the change, you can get back to your normal life. Not everyone deals with death of loved one in the same way; hence you cannot compare yourself with anyone else. Open Up and Share Feelings: Rather than fighting with the thoughts on your own mind, it is better to share your emotions with someone. Yes, it will take time but once you will pour out your emotions everything will get back to normal. Allow Your Close Ones To Be There: Don’t go in solitude just to fight with your own thoughts. Allow your close ones to be there by your side, so that you may come out of the situation well. They can console you in better way. Travel and Refresh Mind: A change is always required in life. When you are just stuck in your thoughts and the good memories you have shared with the person who is no longer in your life, it is better to travel. Leave for a place where you have never been to and definitely, this will help you to come out from the pain. Spend Time on Practicing Hobby: Engaging yourself in the things that you really like; is a great idea. You can spend your quality time on the things that you love to practice and this way you can come out of the unbearable pain of life. Cherish the Good Moments: Don’t get stuck to the situation when your loved one has left you, instead you can cherish the good memories you had with the person. These are few of the better ways through which a person can come out of the toughest time of losing someone. If despite several efforts one is really not able to deal with the situation then consulting a psychiatrist is a good option. Relationship is a bond of love and affection. It is surely such a feeling that makes a person happy and complete. But, when the relationship terminates at breakup the situation is really out of control. Controlling emotions at the point of time when the person is totally broken is something really very tough. Whether it’s our own self or someone close to us, the situation of breakup is really very difficult to handle. When a person is undergoing the pressure of depression, what he need the most at that point of time is someone who could stand by his side to console him. If you are that dependable friend who is trusted by someone under the toughest phase of his life then here are few things that you can try out to handle his emotions. Give Time: This is a point of time when your friend needs you the most. Give him time because when you will be by his side he will feel comfortable. In every aspect of life, we always want loved ones to be near and when the phase is this much tough then without a well-wisher we cannot survive. So being a good and responsible buddy, you are supposed to be at the side of your friend. Go for Outing: The best way to handle a friend who is already undergoing breakup stress is to take him for outing. A change is always necessary and an environment change can bring positivity in him. Also this will enable your friend to forget the past attachments and motivate him to move on. Notice Behavior Change: Breakup is the worst phase of relationship and is probably something that distracts a person completely. Sometimes the person is so much disappointed that he could even decide to end up his life, hence it is necessary that you should notice his behavior change continuously. At this time, it’s better not to leave your friend and stay by his side. Consult Psychiatrist If Necessary: Consulting psychiatrist if you think that the situation is out of control is also a workable idea. According to the situation they will console your friend and will help in bringing him out of this mental stress. Being a friend you should always stand by the side of your buddy. The ideas that are mentioned above would surely help you in consoling your friend in the best manner. Do implement the tips and certainly good results will be in front of you. 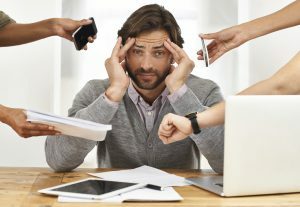 The trend of nuclear family, target based jobs, tough completion in education and office, complicated relations , these all are few of the reasons that increases stress in our life. Stress and life move parallel in content with present scenario. Now there is not little stress in life but there is little life in stress. We find life in the burden of responsibilities which gets ruined due to stress. Stress is no less than a mental trauma. Being concerned for a thing or happening in and around totally distracts us. 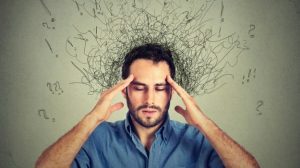 Consulting psychiatrist is not the only way out to handle stress; there are many more effective ways and ideas through which you can lower the stress factor from your life. Here are the five most effective ways that would help you in plummeting stress. Meditation: Your capability to control feelings and emotions increases with meditation. If you really want to reduce the stress level from your body then just start meditating. Concentrating in finding your inner soul, would definitely help you in getting distracted from stress and other tensions of life. Deep Breathing: Whenever you think that your stress is overpowering your schedule just start deep breathing. Deep breathing is a kind of distraction from stress. When you will concentrate your mind in breathing deep then definitely the matter that was giving you stress will vanish from your mind for time being and in this way you can fight with your stress. Focus on Senses: One another effective way of reducing stress is to feel your senses. Suppose you are walking in green grass barefoot then just feel your feet toughing the glass. Feel your senses and your stress will be gone away. Show Social Presence: If you are stressed over something for a long period of time and despite constant efforts you are not able to overcome the situation then try out social networking. Get connected with the people in and around you through social networking sites and definitely, this will reduce the stress of your life automatically. Laugh Out Loud: Laughing is the best medicine and in fact the best pain healer too. Whenever you think that stress is suppressing your life, just laugh out loud. Watch comedy movies, serials, hang out with friends and in this way the whole frustration and stress will be wiped away from your life. These are the five best ways through which you can reduce stress from your life. In case, you think that situations are not under your control then consulting a good psychiatrist is the best option for you. The best way to treat stress is finding its symptoms in the beginning only. It is a much complex task to identify mental disorders in children. As they differ from adults in their behavior hence it is difficult to spot if they are actually suffering from mental disorder or they are behaving in their own way. One can find children behavior just normal without spotting any abnormality in it. It is really a difficult task to spot if they are suffering from any mental disorder to behaving normally in their own way. There are different types of mental disorder that can affect children. The symptoms are mentioned below. Anxiety Disorders: Rapid heartbeat, sweating are few signs of anxiety. If your child is also being spotted from this disorder then this is the high time when you should consult a child psychiatrist. 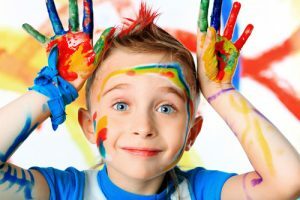 ADHD: Attention Deficit Hyperactivity Disorder is generally a problem in which children have problem in paying attention or concentrating on something. They tend to move constantly and are impulsive too at times. Disruptive Behavior Disorders: Children confronting and challenging rules suffer from this kind of disorder. They are often disruptive in structured environment such as school. Eating Disorders: Well, this is something very common that you can spot in your child. This involves intense and unusual behavior associated with food. Elimination Disorders: Bed-wetting is a something common for kids, but in case your child repeats this after the definite age as well then this is called as elimination disorder. Learning and Communication Disorder: Children facing this disorder have problems in processing and storing information. They are also not able to relate their thoughts and ideas with the things happening around. Affective Disorder: Persistent feeling of happiness and sadness is something which is included in this order. If a child continuously swings his moods then this is a sign that needs consultation of doctors. Tic Disorder: In this disorder a person performs repeated moments and actions that are sometime meaningless too. If your child behaves like this then you must consult psychiatrist immediately. These are the signs and symptoms of disorder in children. In case you notice any of these kinds of things happening to your child then you must consult child psychiatrist immediately. Continuously noting down their behavior is necessary to track their mental situation.